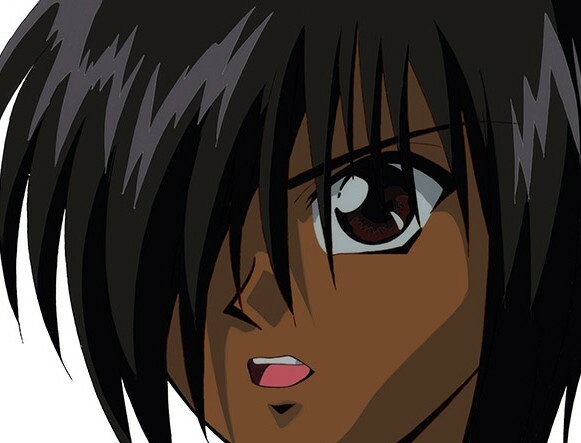 Innovation is not exactly Flame of Recca's strong point. In the show's endless martial arts tournament the enemies fall into two groups: the ugly ones who will end up dead, and the cute/handsome ones who will change sides to join the heroes. Saicho, of course, is one of the latter. I've always liked Saicho's character design, though I wouldn't say he was especially interesting otherwise. 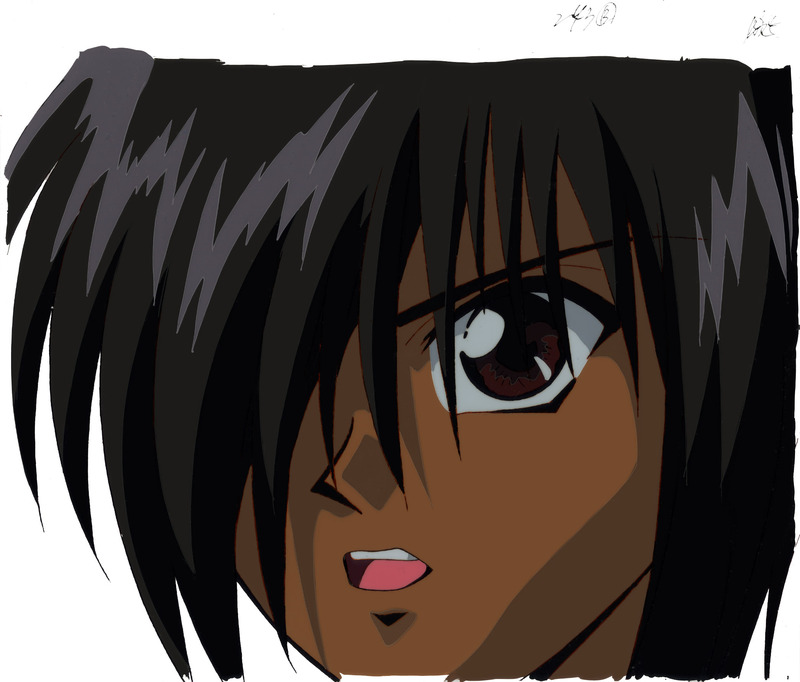 I'm a sucker for hair-over-one-eye characters, and Saicho's skin tone is unusually dark for an anime like FoR.